White tee by Champion in 100% cotton. 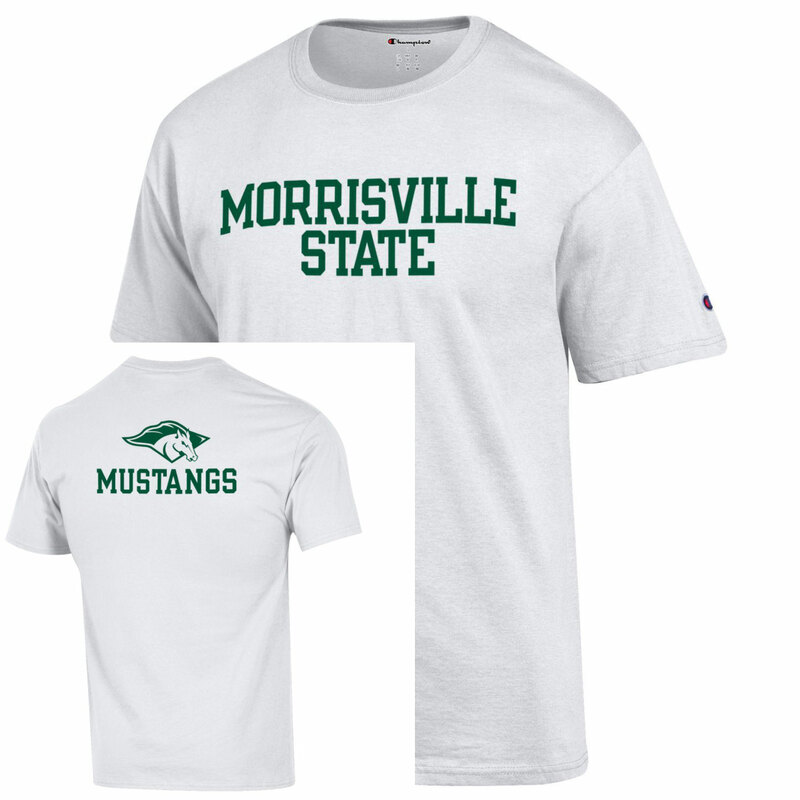 Features "Morrisville State" wording on front, with the Mustang logo and "Mustangs" printed on back. Please select option for Mustangs Tee.